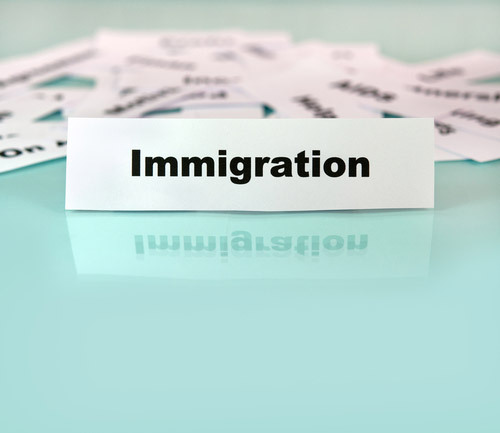 Immigration is a complicated process and applying can be a time-consuming and difficult task. Unfortunately thousands of applications are rejected every year for small mistakes in the forms or the procedure used. The best thing you can do when you are going through the immigration procedure is to be prepared, be thorough, and be aware of these common mistakes so you can ensure you do not make them. All immigration procedures are complicated and require multiple forms to be filled. For example, there are many different USCIS forms on the website for different purposes and circumstances. One of the most common mistakes people make when completing the immigration procedure is to forget important forms or to fill out the wrong forms. It is worth looking three or four times at the forms you need to fill in order to make sure you are completing the right ones. Also, you do need to make sure that you are actually eligible for the immigration route you are applying for – if you are not eligible, filling in the forms is not going to make a difference. Also, there is the possibility that you forget to submit other supplementary information that is requested in the application procedure. There are a variety of different documents needed to help support your application, such as other forms of identity and documents that prove your address or your marriage status. Since it can be confusing to know which documents you need, put together a checklist and work your way through it, looking at the immigration process on the relevant website. Sometimes people make a very basic mistake and submit the paperwork to the wrong USCIS address, or even to the wrong organization. This can cause delay and confusion, but it also may result in your application being invalidated and you have to start again. If you are applying to the United States then all documents need to be in English. However, there are occasions when the documents will be in another language, for example your birth certificate, and in these cases you also need to supply an official translation. This means that a translation must be certified, which in turn means that you need the translator to certify that their translation is correct and complete. Some countries need all translations to be signed by a notary public or to use a certified professional translator. Unfortunately some people put an incredible amount of work into the application but then forget one vital point – to sign the document. You won’t necessarily be denied immigration status but it will certainly result in your application being returned, which will mean more time and more money spent on resubmitting the application. Double check that you know the right fee to pay when you are submitting an application. Again, it can be complicated to know what you need to pay so make sure you have got it right. And make sure you are paying with the right form of payment – often you will not be allowed to pay with a foreign check, for example. If you are having a problem applying then an email or advert that comes along at the right time promising to help your application can be really tempting. But unfortunately there are scams out there that cost you and the system large amounts in time and money. You may even face deportation. It is very important to learn that not all people who offer help are qualified to do so, and not to fall for a scam that requires you to pay money for a solution you are not going to get. It is very easy to let a mistake creep into the application but this is one surefire way to have your application rejected. Double check the information you send, making sure you have cross-checked all different forms you are completing. Make sure that your spellings are consistent across all documents, particularly in the spelling of foreign names. Don’t leave sections blank. If you are unsure whether you have to fill out a certain part of the form then ask for help, instead of adding N/A or a question mark. You also shouldn’t guess but fact check your answers before you fill them in.